The story of the book revolves around a guy, Parshuraman Joshi, from India who settled abroad for work after his higher studies. As the title of the book suggests, the story goes on in a very expected pattern. The guy earns a decently good salary and his family, as always happens in many Indian families, wants to get him married. The reason for getting him married is that he will soon turn 30(in couple years), he will expire in the marriage market and he won't get good girls after that. However, as the story proceeds, his sister, Ragini, in India tries to fix his marriage. On the other hand, his aunt Parvati, with whom he lived and finished his higher studies get proposals for him. 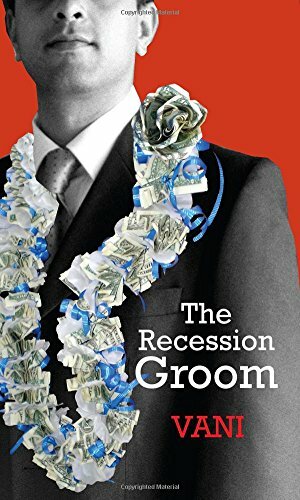 While the whole drama continues, "Recession" hits him and he loses his job (pretty much predictable from the title). The rest of the story follows with how he manages his life through the phases of joblessness and part-time job, while he tries to get his hands on a good full-time employer along with coping up with his family's reactions to the situation. The book perfectly portrays the reaction of the melodrama of how relatives in any typical Indian society reacts to different situation. Don't expect any twist and turns in the book. Simple and straight forward story, as you'd predict. Ending was totally and typically Indian movie style. Disappointed. You can try it if you want to read something decent from an Indian author after being bored from Chetan Bhagat and similar authors. PS: Special thanks to The Readers Cosmos for providing the opportunity to review the same.